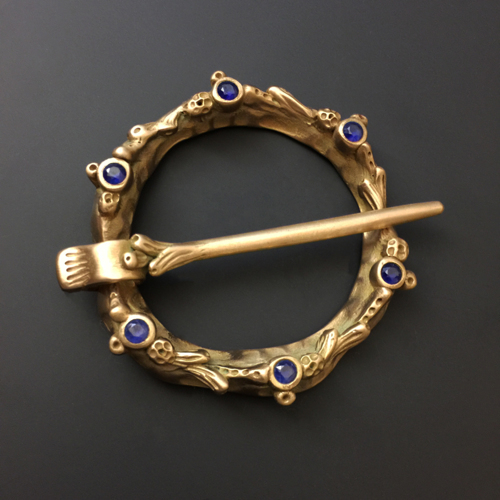 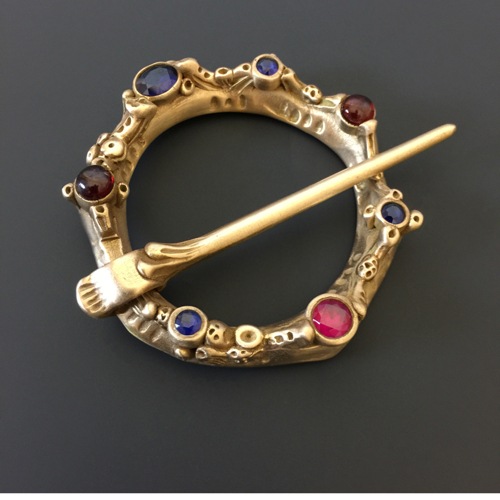 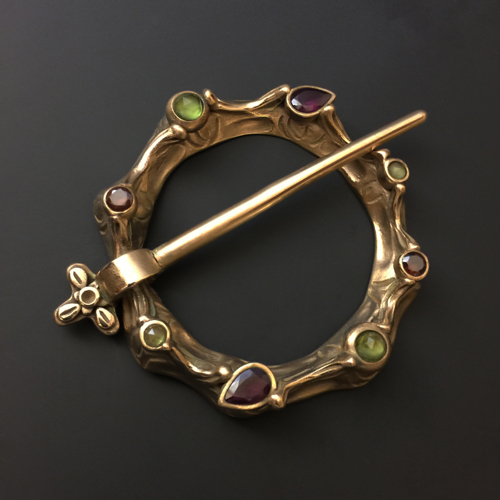 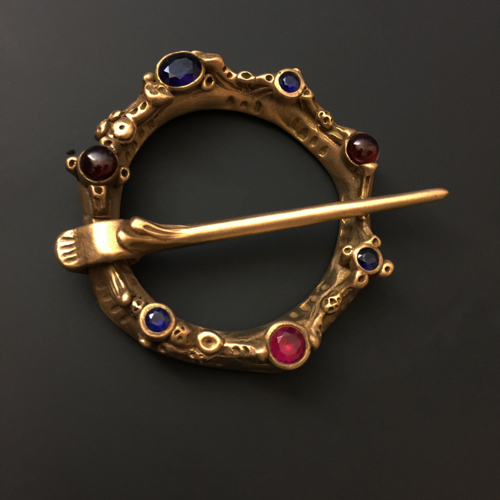 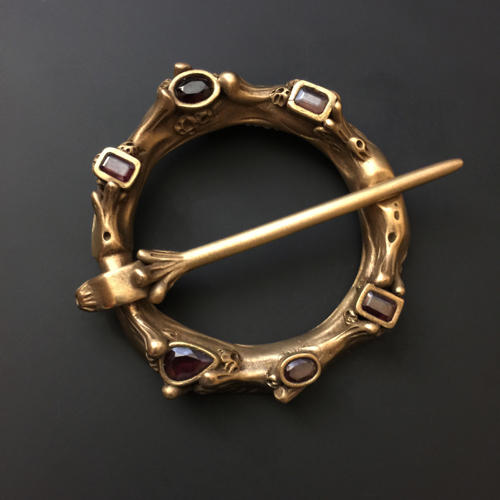 Sculpted bronze with garnets, sapphires, and ruby. 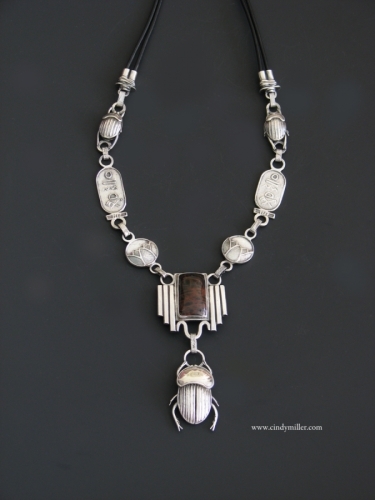 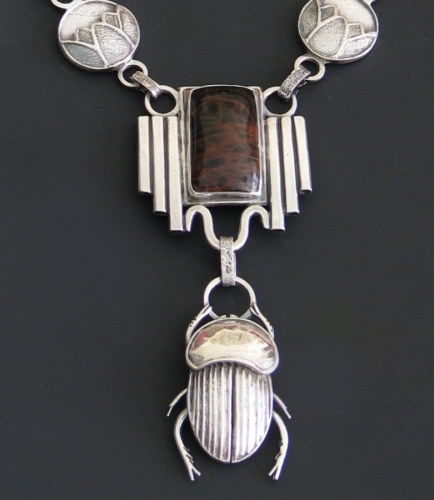 Sculpted dimensional silver scarabs and lotus beads. 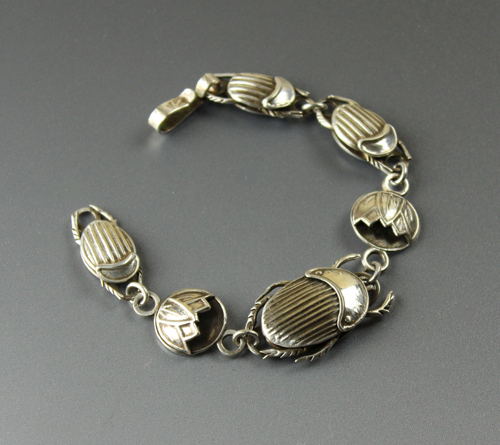 Fits 7.5 inch wrist.